Daily Debate: What Does Ocarina of Time Mean To You 20 Years Later? Whether you played it 20 years ago, or sometime within the last 20 years, Ocarina of Time may have had a significant impact on how you see games– or even just life in general– today. The 1998 release took an iconic leap not only in the Zelda franchise, but in the entire gaming industry, and I like to think we all have a story when it comes to such a beloved game. For me, while A Link to the Past was the first Zelda game I played on my own, Ocarina of Time was the first game I can remember watching someone play, and is the game that introduced me to both Zelda and video games. I didn’t actually get to play Ocarina of Time until I was ten, which was a few years after its release. At the time, I had to take turns between five brothers and a sister, and I can remember getting through that game by working together. It took us weeks, and we had to use a guide, but it felt like such an accomplishment. I don’t even think we’ve all worked that well together since. To this day, every time I play Ocarina of Time, these are the memories I’m reminded of. Whether I’m speedrunning it, or working on a new 100% file, I never get tired of reliving those memories, or this game. So the question is, what does Ocarina of Time mean to you now? Did you have positive or negative feelings when you first played it, and do you still have those feelings today? 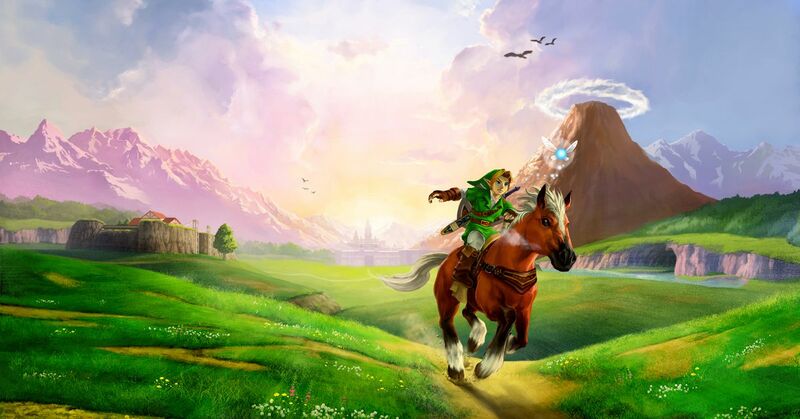 If you’ve only recently played Ocarina of Time, did it still have an impact on your gaming or life experiences? Help us continue to celebrate it’s 20th anniversary by sharing your stories in the comments below!